While much of the focus is on tenant screening when it comes to the landlord-tenant relationship, it’s important to remember that you’re ultimately responsible for attracting the tenants in the first place. That means setting yourself up for success by keeping in mind what aspects, amenities, and features prospective renters are looking for. As any property owner knows, location is by far the single most important aspect – regardless of whether you’re buying or renting. People want to be close to things like restaurants, shopping districts, walking trails, entertainment venues, and more. If you have a property that’s in a really good location, you’re also able to get away with a lot more. People are generally willing to compromise on other amenities and pay more for less. 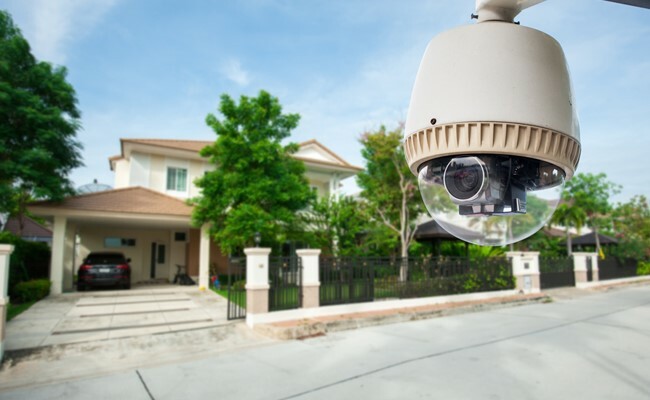 Even if your property is in a safe neighborhood, most people want the peace of mind that comes with having security features like alarms, fences, deadbolt locks, and more. Offering to pay for an alarm service is a cost-effective way to attract new tenants to a property that’s otherwise very similar to others in the area. Small apartments and rental homes have a way of feeling even smaller when closet space is limited. Even if it means taking away some existing square footage in a bedroom to build out a large closet, you should ensure your properties have adequate storage space for tenants. • Plenty of parking. It’s not usually an issue in suburban areas, but parking is a huge selling point for city apartments and rentals. In fact, off-street parking is something most people put at the top of their list. Even if direct off-street parking isn’t available, a nearby garage may be suitable. Whatever you do, don’t ignore this aspect. • Outdoor space. In urban areas in particular, outdoor spaces can allow you to charge a premium. This could be a tiny backyard, a private balcony, a community patio, or even a nearby park. If you can secure some outdoor living space for your rentals, you’ll be able to attract more potential renters. • New renovations. People love home renovations, especially in the kitchen and bathrooms. It doesn’t have to be expensive, either. Something as simple as a new backsplash behind the kitchen sink or fresh hardware in the master bathroom can have an big impact. The good news is that you can recoup most of the money you spend on kitchen and bathroom renovations if you ever decide to sell, as these projects typically bring a pretty high ROI. • Open floor plan. For rental properties, open floor plans are ideal. Not only does it make a small space appear larger, but it also makes it easier to move throughout the home. Removing an unnecessary wall or two can give your property an entirely new look. • New appliances. If you do decide to renovate the kitchen, consider purchasing new appliances. Stainless steel appliances can really make a statement, while energy efficient and low-flow models make for a good selling point. • In-unit washer/dryer. A major inconveniences associated with living in an apartment or rental home is that washers and dryers are rarely included. As a landlord, this is something you can take advantage of. By providing in-unit – or at least in-building – washers and dryers, you can differentiate your property from 90 percent of the competition. • Cooperative landlord. Finally, all tenants want a cooperative landlord. While it may be difficult to connect with a prospective tenant on a personal basis upon initially meeting them, you can let them know you’re cooperative and genuine by encouraging them to read your testimonials or contact previous tenants. • Open houses. Strangely, very few landlords use open houses to attract tenants. It’s unclear why, though, as they’re ideal for piquing the interest of prospective renters and making a property stand out. You don’t need to go overboard with an open house, but scheduling one after a property’s been on the market for a few days may allow you to garner some additional attention. • Staged showings. If you own luxury properties that rent in the high-dollar range, it’s worth your time to schedule professionally staged showings. This ensures your property is shown in the best possible light and allows interested parties to envision what it could look like if they lived there. • Video listings. Thanks to the growth of social media and online marketing, video listings have become relatively successful. For a couple hundred dollars, you can pay a professional videographer to record you walking around your property. You may then choose to post that video alongside your online listings for increased exposure. For even better results, ask a few friends to share your listing on sites like Facebook and Twitter. • Word of mouth. Finally, don’t underestimate the value of word of mouth. If you have a couple features you’re proud of, ask your friends, family, and current tenants to share this information with people they know. You won’t always find a renter this way, but it’s definitely one of the most cost-effective tools you have at your disposal. At Green Residential we understand the ins and outs of property management. Whether you need help acquiring tenants, keeping existing ones happy, or legally evicting ones that are clearly violating your lease agreement, we would be happy to assist you. Contact us today to find out why Houston landlords have trusted us with their properties for more than 30 years!